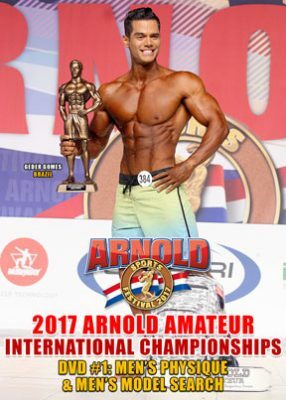 More than 500 top amateur competitors from around the world competed in 10 divisions at the 11th Annual Arnold Amateur IFBB / NPC International Championships. See the lineups, comparisons and callouts for each class, and awards. The video includes the ARNOLD MEN’S MODEL SEARCH. Held at the Greater Columbus Convention Center – Expo stage and Battelle Grand. The Presenting Sponsors were Gaspari Nutrition and iHerb.com. More than 500 top amateur competitors from around the world competed in 10 divisions at the 11th Annual Arnold Amateur IFBB / NPC International Championships. See all of the lineups, comparisons and callouts for each class, and all awards through to the OVERALL MEN’S PHYSIQUE title won by GEDER GOMES of Brazil. The video includes the ARNOLD MEN’S MODEL SEARCH presented by Mike Davies Fitness Universe, and won by RAFAEL FERREIRA, also from Brazil.